If you are looking to get into Unity 3d coding/creating a book is a good place to start to get the full overview. Recently, the first Unity book has been released by Will Goldstone via Packt Publishing. The book is written in a simple yet rapid pace but starts out from beginner level 3d introductions and really explores all areas needed to give someone the handrails to start tinkering on their own in the dark of their labs with Unity. The book explores an introduction to 3d (the biggest hurdle for most in moving to unity although it also does 2d), terrrains (terrains aren’t supported in iphone yet keep this in mind if those are your aims), moving players and cameras, collision detection with colliders and rays, working with prefabs, creating HUDs, creating menu screens and working with the the GUI system in Unity (which can be strange for people coming from flash with event based user interfaces), loading/instantiating objects in the 3d world, particle systems, physics and lots of examples and minigames showing off these areas. The book is alot like Unity itself in that it gets up and running quickly, gives the tools to do some damage and then opens the door to developing with Unity. After you develop longer in a platform you learn how to dig deeper into all these areas including scripting to do lots of what the Unity Editor can do for you but there is so much to take in that a good starting point to catch onto is needed. 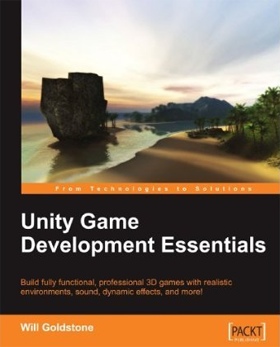 Unity Game Development Essentials, the first Unity book, fills that role easily. I have been using Unity as a hobbyist then at work at a game company starting in 2007 since it started to invade and take over from Director in 2007 ish then infiltrating the Papervision 3D and flash 3D developers, even with that experience this book still did a great job of exploring the tools and is approachable for almost anyone with some basic scripting skills and a desire to make some creative stuff. 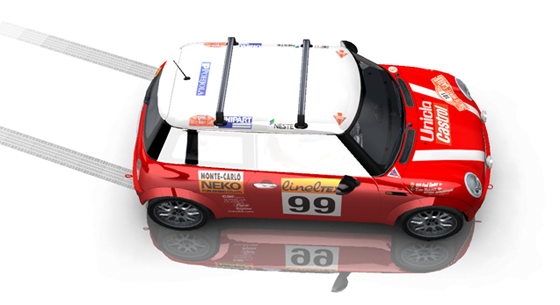 If you aren’t ready to make the leap to Unity just yet there is also a great book from Paul Tondeur called Papervision Essentials for 3D in Flash, he has also done some projects in Unity to Flash communication.